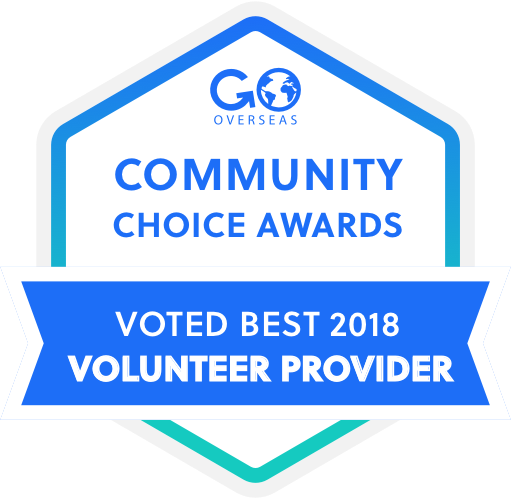 Rustic Pathways was named one of the Overall Top Volunteer Abroad Providers of 2018 by Go Overseas. Go Overseas helps connect travelers with the right companies and programs. It used student reviews to determine the best provider of volunteer and service travel programs for its Community Choice Awards. “Here at Go Overseas, we strive to help prospective volunteers identify those companies who work with the local community, offer services that don’t undermine local efforts, and ethically interact with the people or animals they serve,” it wrote about the awards. About 70 percent of Rustic programs include a community service component. Connecting students with opportunities to participate in meaningful community service projects is one of the ways we ensure our programs have a positive impact where we operate. In 2018, Rustic students completed 187,192 hours of community service. Choose from service programs for future educators, animal lovers, aspiring doctors, or environmentalists. You could also explore a spring break service adventure or introductory service experience during one of our programs for first-time travelers. To see how Rustic students have rated those and other programs, visit our page on Go Overseas to see more than 460 independent reviews. Schedule a Call with one of our Global Program Advisors to learn more about Rustic Pathways’ community service programs and which one is right for you.